Thanks to sales of BOBS from Skechers and BOBS for Dogs collections, Skechers has donated $3 million to Best Friends Animal Society, the only national animal welfare organization dedicated exclusively to ending the killing of dogs and cats in America’s shelters.philanthropic. Along with saving the lives of shelter animals, Best Friends has used Skechers’ contributions to find forever homes for 5,490 pets at Skechers-sponsored Super Adoption events; spay and neuter 328,000 pets; transfer more than 25,000 shelter animals to Best Friends’ regional programs; and help nearly 12,000 kittens at its nurseries. The company’s funds have also supported the organization’s efforts in Los Angeles, currently on track to become the nation’s largest no-kill city this year; helped launch its first Pet Adoption Center in New York; and maintain its Utah sanctuary which houses more than 1,600 animals. 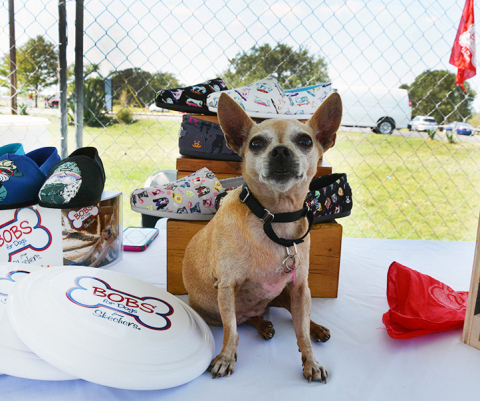 BOBS for Dogs’ wide-ranging Best Friends initiatives have included a limited-edition, co-branded footwear collection and a BOBS Roving Rescue bus to help transport shelter pets to their forever homes. For each pair of specially packaged BOBS from Skechers shoes and BOBS T-shirts sold online and in stores throughout the United States, 25 cents is donated to Best Friends to help save shelter animals’ lives across the country. To learn more, follow BOBS from SKECHERS on Facebook (facebook.com/BOBSfromSKECHERS), Twitter (twitter.com/BOBS_SKECHERS), Instagram (instagram.com/BOBS_SKECHERS) and Pinterest (pinterest.com/BOBSSKECHERS), or visit www.BOBSfromSKECHERS.com.